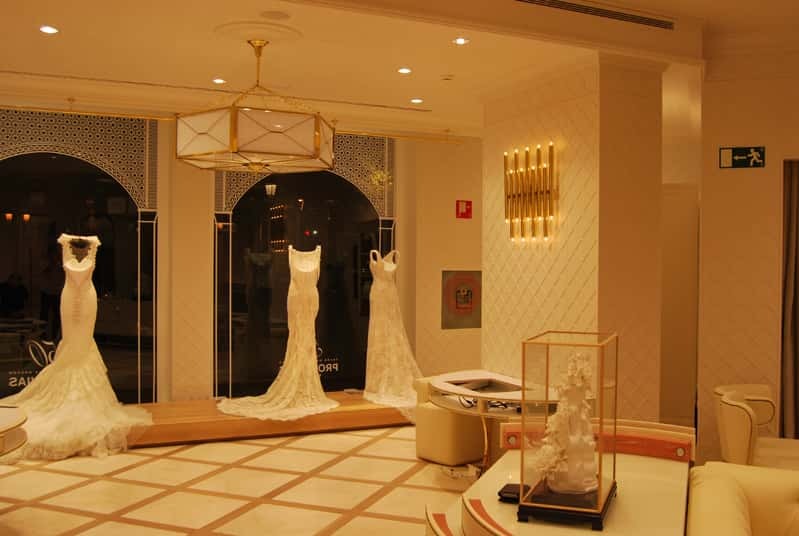 One of the most prestigious bridal shopsin the world, based in Barcelona and present in more than 4,000 points of sale distributed in 105 countries. 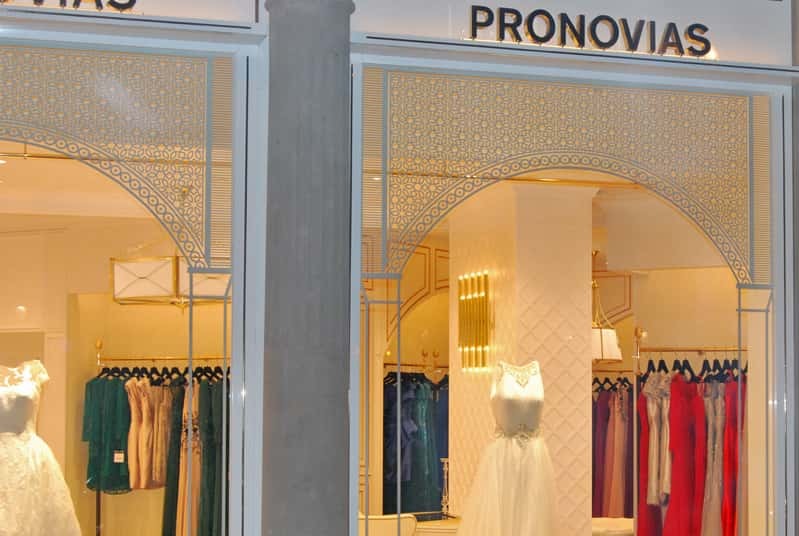 Pronovias is characterised by being able to dress any bride and treat each project as a unique experience for the most special day of their client’s life. 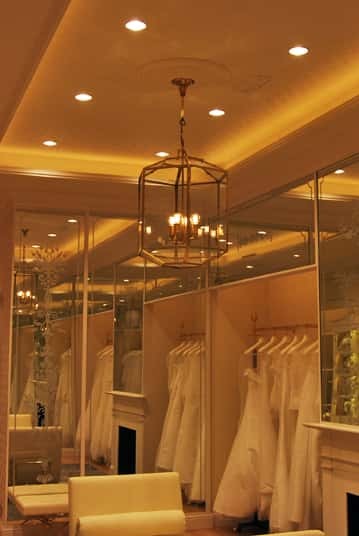 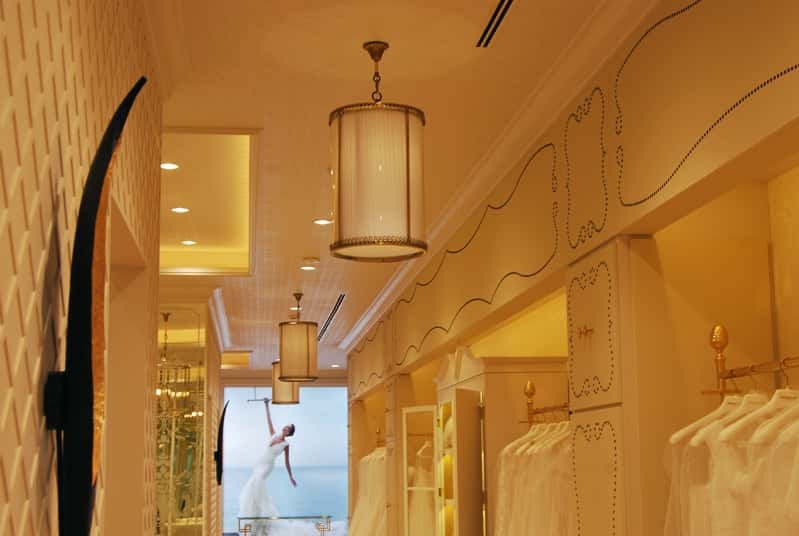 In Dajor, we took care of the lighting in one of its most elegant and emblematic boutiques: Pronovias Rambla Catalunya in Barcelona. 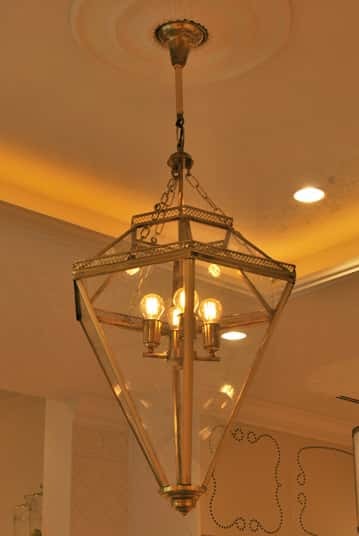 The design was done by Lázaro Rosa-Violán studio. 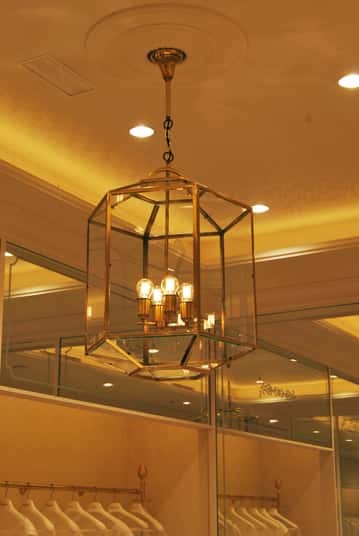 We manufactured a collection of pendants with white taped screens of different shapes and sizes: elongated, hexagonal or conical cylinders with golden details. 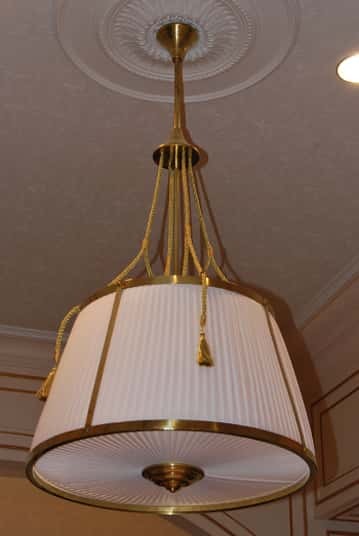 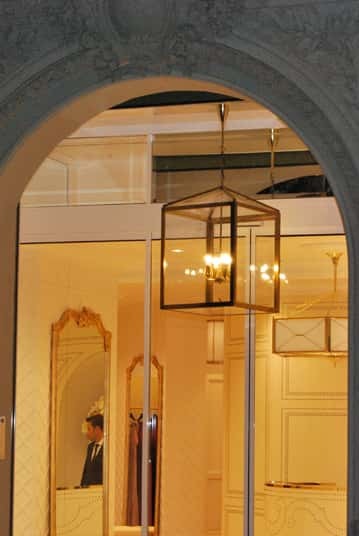 We also made a second collection of suspended and very elegant light fittings in geometric shapes made of transparent glasswith the details finished in gold. 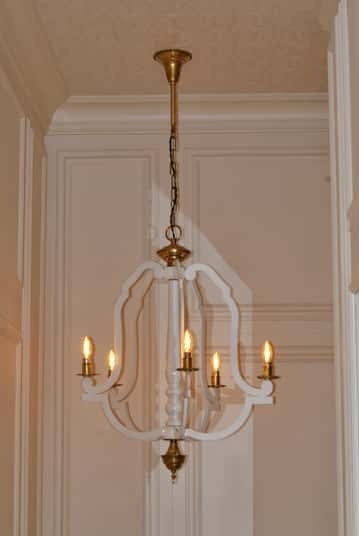 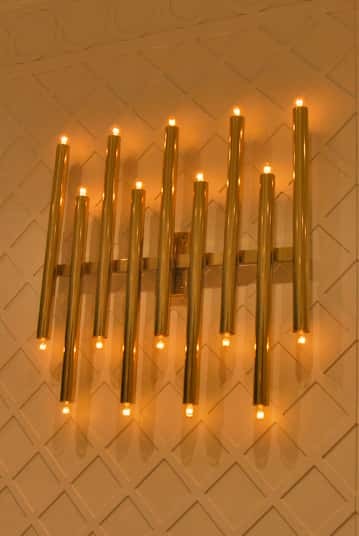 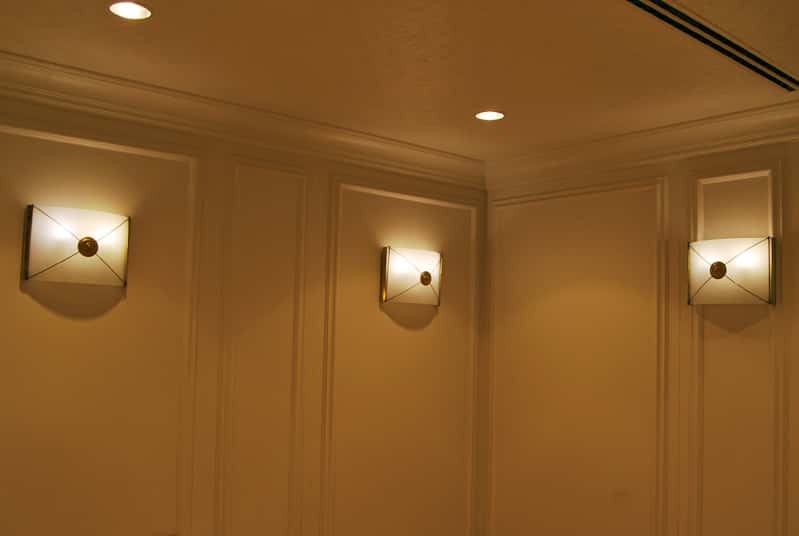 Other pieces by Dajor are the golden sconces made of thin tubes with a bulb at each end. 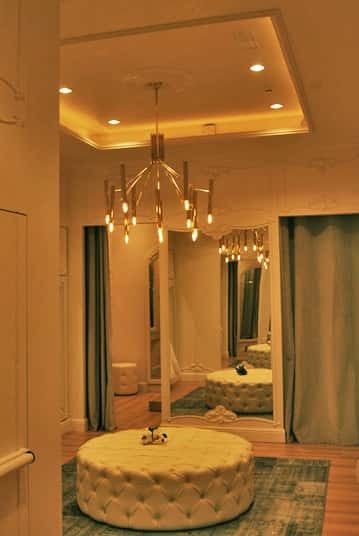 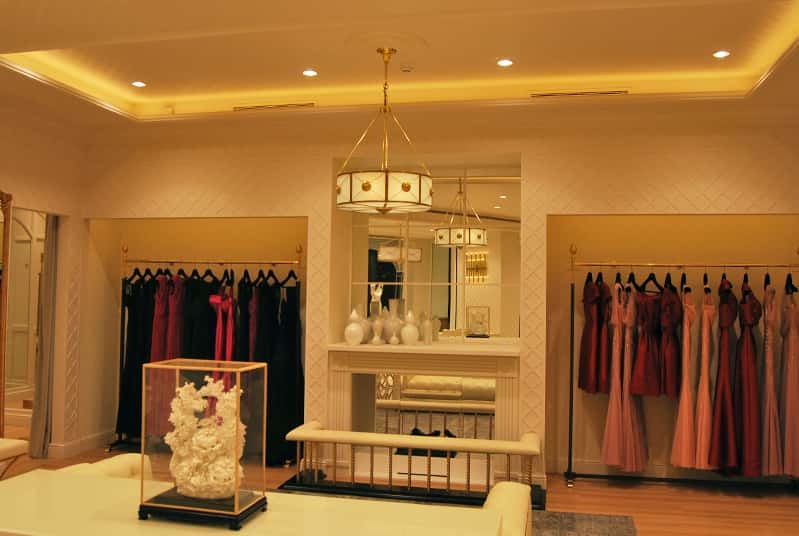 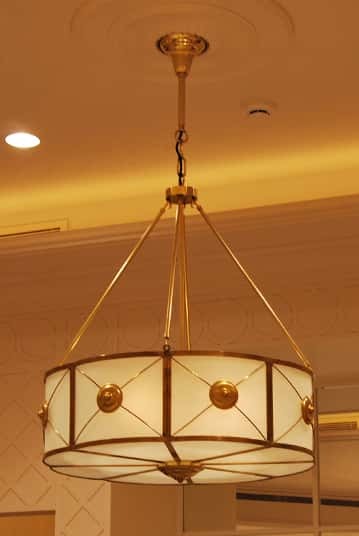 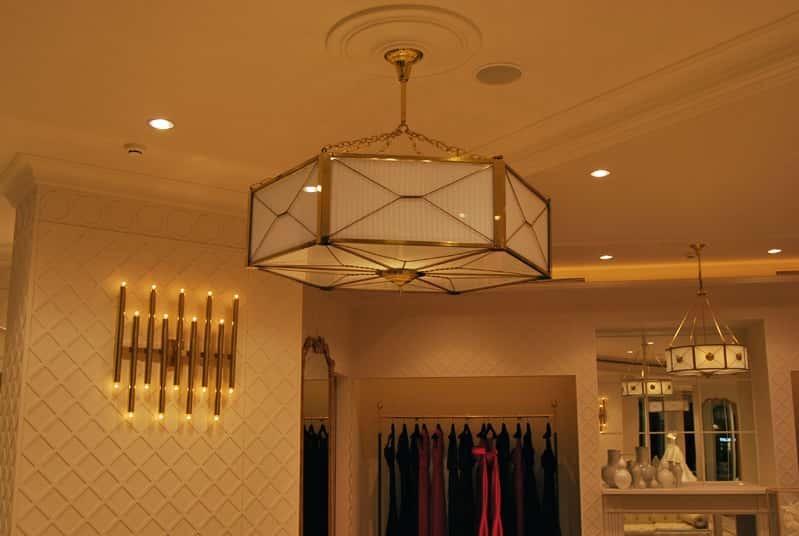 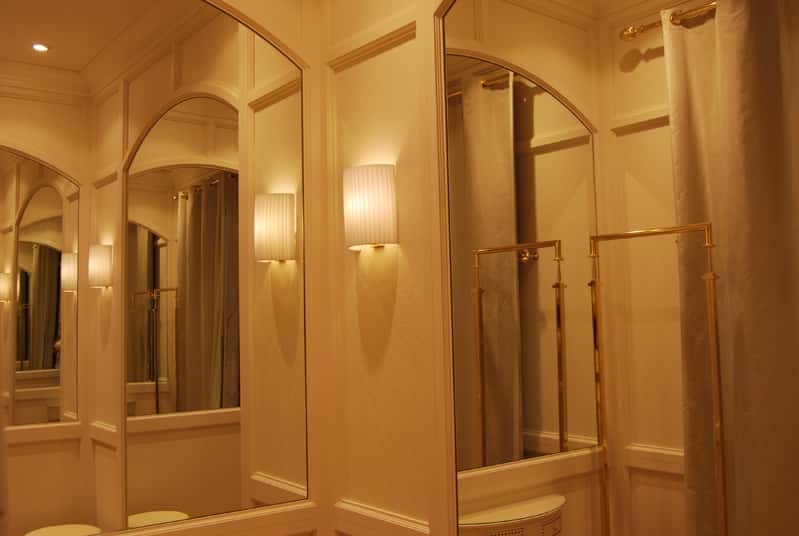 We complemented the lighting with a very elegant chandelier-inspired white pendant, a suspended lamp with golden arms and another circular pendant with opal glass and gold details with matching wall sconces.